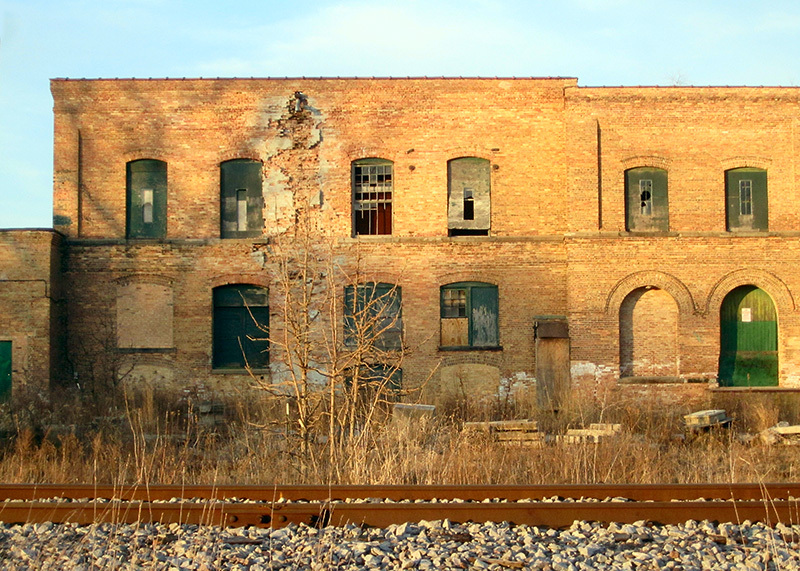 Just east of a popular bike path in Madison, WI, stands the remains of the Garver Feed Mill. During an evening walk, the golden cast of the bricks brightened by the setting sun, caught my eye. The patterns created by broken windows and lines drawn by the railroad tracks completed the scene. There’s a visual irony created by the formality of the architecture and the dilapidated state of the building. Other than lightening the shadows on the brick surface, and squaring up the building, (both done to flatten the building and enhance repeating patterns) I didn’t fuss with this image. I took the photo with a crummy pocket camera, so there wasn’t a lot of data to work with anyway.